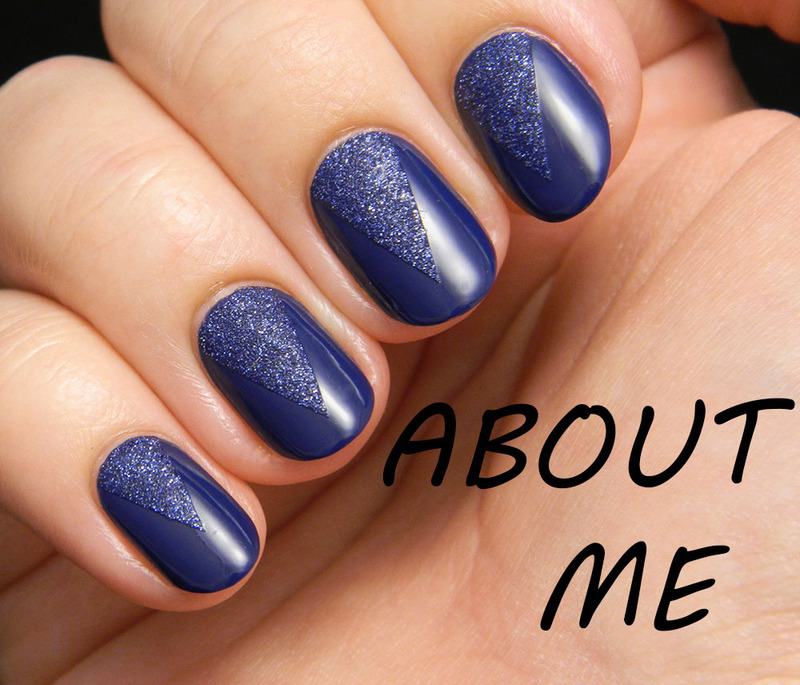 I feel like this type of manicure is something that I do very often but the truth is that I love it too much. 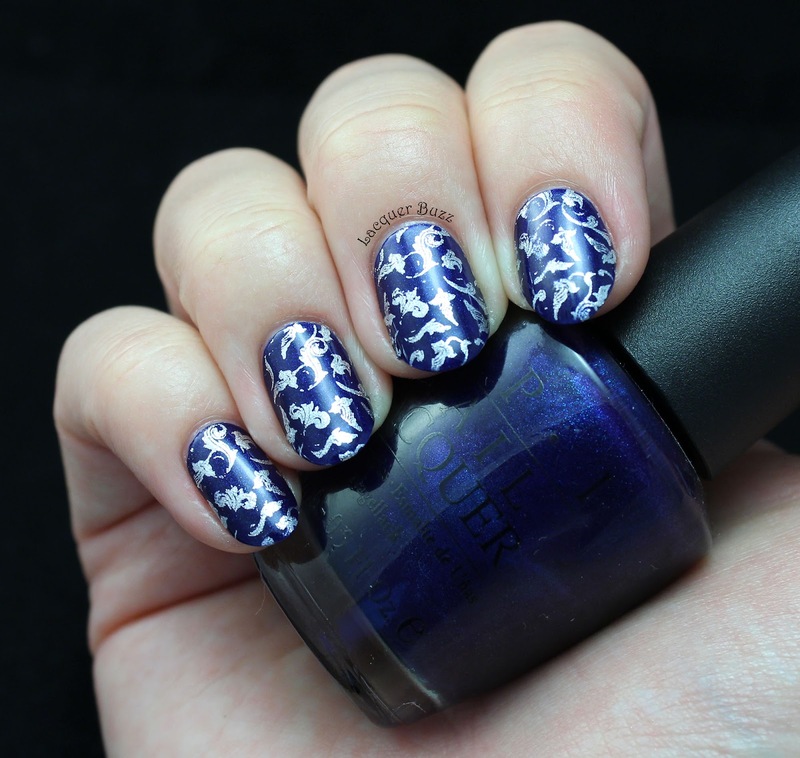 It's definitely my staple nail art: a blue base with metallic stamping on top. It's something that I can wear to work, something that is both elegant and fun. I used my new camera for these pictures so forgive the weird lighting while I figure things out. 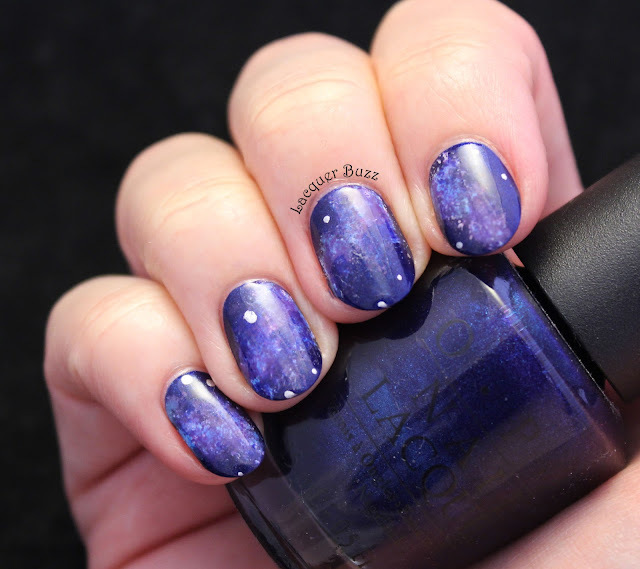 For these nails I pulled out an old favorite, OPI Yoga-ta Get this Blue and a few new nail goodies from the Born Pretty Store. 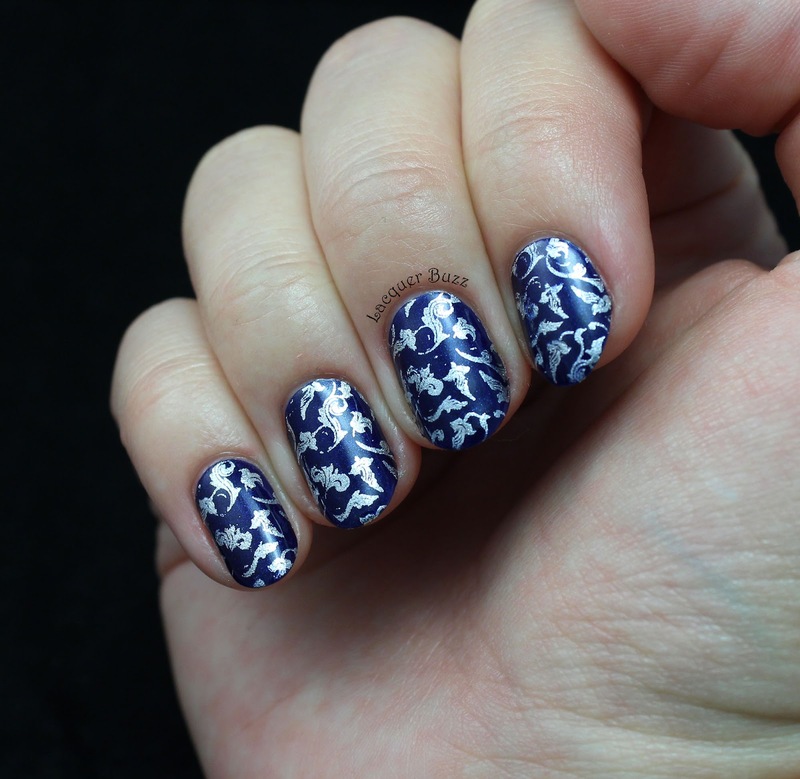 The stamping plate is BP-L016, a plate that is full of beautiful and elegant patterns such as this one. 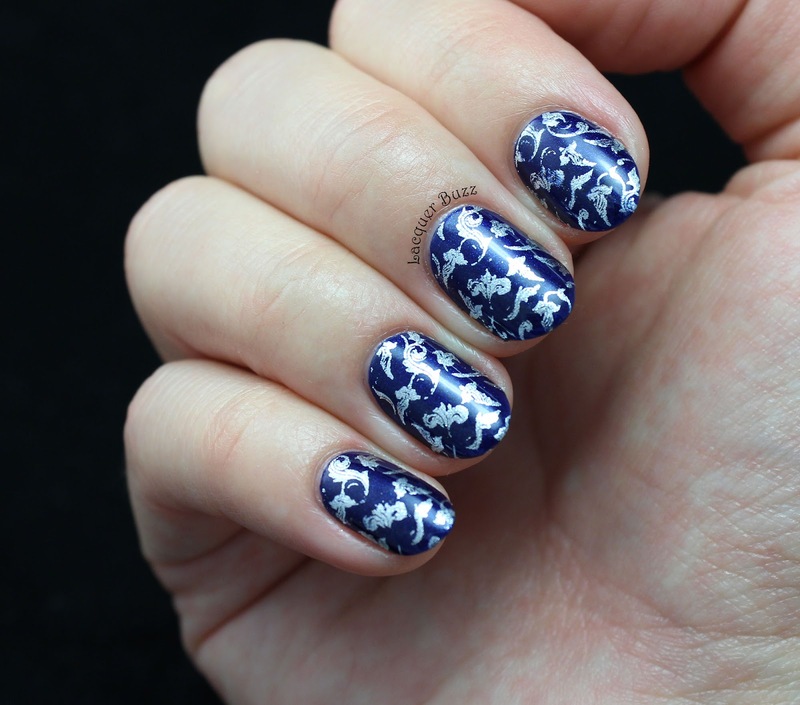 I also used a Born Pretty silver stamping polish that you can find here. 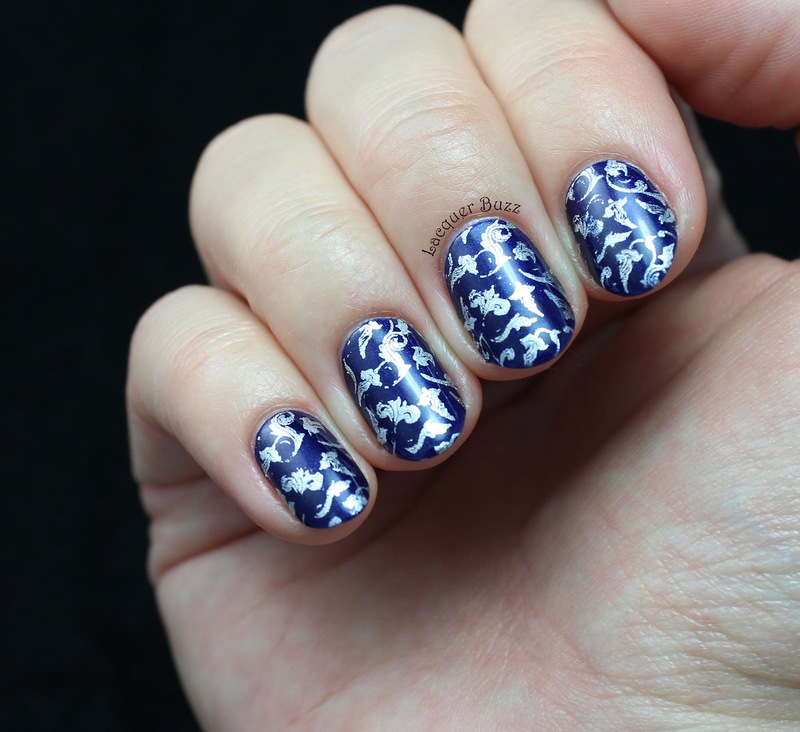 It worked pretty well although the stamping didn't come out quite perfect. The flaws are only visible in the pictures though and not in real life. I created these nails yesterday and I will probably wear them all week. I'm sure I'm gonna enjoy them a lot and never get bored. 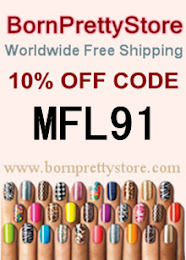 Don't forget that you can use code MFL91 to get 10% off your Born Pretty Store order. 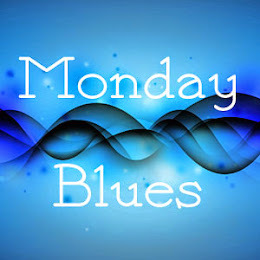 And make sure you check out the other lovely Monday Blues posts in the links below.